The Battle of Amiens was the beginning of the end of the German armies. 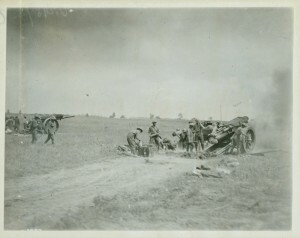 A powerful Allied force, spearheaded by Canadian and Australian troops, nearly broke through the enemy lines on 8 August, pushing the Germans back several kilometres. After the failed German offensives in spring 1918, the Allies regrouped and counterattacked along the Western Front. 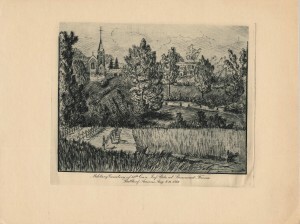 Prepared in secret, with a major counter-intelligence operation to deceive the Germans as to the real location of Canadian and Australian ‘shock troops,’ the attack at Amiens would prove one of the most successful of the war. The offensive at Amiens was a surprise assault based on a combined arms approach to war. The infantry attacked behind a creeping artillery barrage, supported by tanks, cavalry, armoured cars, and tactical airpower. 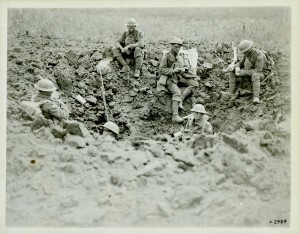 On 8 August, the Canadians advanced 13 kilometres through the German defences, the most successful day of combat for the Allies on the Western Front. But the Germans rushed reinforcements to the battlefield to prevent an Allied breakthrough, and subsequent fighting became far more difficult and costly, especially since the attacking forces were moving beyond the range of their guns. 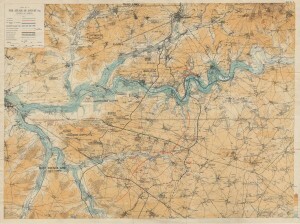 By the night of 11 August, most offensive operations had ground to a halt. 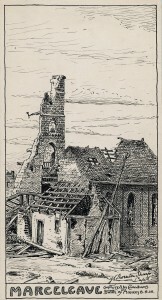 Amiens, called the ‘black day’ of the German army by one of its commanders, shook German faith in the outcome of the war and raised Allied morale. Previously, most Allied commanders had predicted the war would continue well into 1919 and possibly into 1920. Amiens proved that the German army, bending under the strain of four years of attritional warfare, was closer to defeat than anyone had predicted. In a trend continued by other set-piece attacks in the following months, the battle was exceedingly costly. 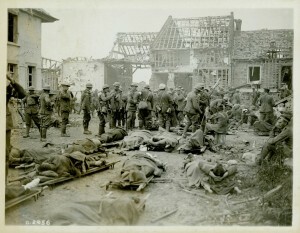 The Canadians suffered more than 11,800 casualties in total, including nearly 4,000 on 8 August alone. German prisoners carry Canadian wounded to the rear, passing a tank on the Amiens-Roye road during the Battle of Amiens. 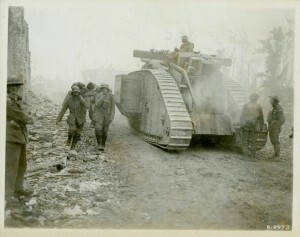 The Allies used 420 tanks during the surprise attack on 8 August 1918, but the majority had been knocked out or broke down by the end of the battle.